Knowing we need to work on our photography skills we recently purchased a new camera although we have yet to read the manual and we need to practice a lot. 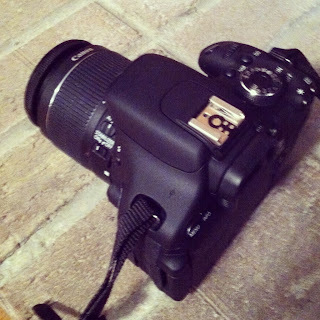 One of the best things about a new camera (aside from better quality pictures) is accessorizing it. 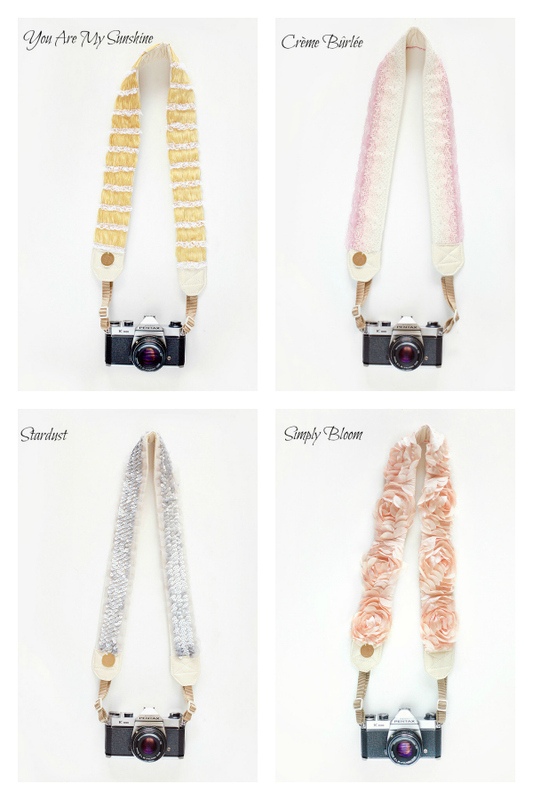 We are currently on the search for a fashionable camera strap and we keep returning to Bloom Theory's website. I have included my four favorites below. Which do you like best? Do you have a camera strap that you love? If so, please let me know where you purchased it. Lucky! I really need a new camera. That is on my list of products for the future. Happy picture taking! Let me say that I really love them !!!! love the creme brulee one! These are so cute! Creme Brulee is definitely my favorite. Do I spy sparkles on the stardust one?! Love. LOVING that sequin camera strap - so fun! I love all of these, but I think the creme brulee is my favorite! I don't have a camera that requires a strap (someday when I'm not in college or someday when I'm in one of those "screw everything sensible" moods, then I'll acquire a good camera), but I loooove that Crème Brûlée strap. It's so cute! I want it and I don't even have a camera for it. It's fun to get a new camera and play around with it! Love those straps, especially Simply Bloom! EEEEEEEE!!! I really wish I had a DSLR or a camera that used a strap because I WANT/NEED Bloom sooooo much! Ooh those look to good. Such a great alternative for those boring straps! these are so so cute! i definitely need to get one! I also need to get a cute camera bag instead of the bulky ones! Love the bloom but I'm quite certain my husband would stop taking photos! Those straps are so fun! You could definitely DIY one! With this great straps pictures could only be good! all are so cute but i like the top right! Congrats on the new camera! I love the simply bloom strap, so cute! Omg need one of these camera straps! You'll love your camera. It's definitely a great investment and could be a fashion statement with the sequined strap! What kind of camera did you get? I've been thinking about investing in one forever and I think I might finally be ready! Love those straps! I've been wanting a fancy strap for my camera, ideally, simple soft brown leather, with a monogram stamped on it. This is so cool! Never thought to style my camera - love it! these are really cute! glad you reminded me...i subscribe to a photography mag and came across and ad for cool straps. i keep forgetting to go back and check it out! I'm on the hunt for a cool camera strap too! I've been checking out mostly Etsy sellers, but I'm loving these!